When the question of, 'What do you want to be when you grow up?' is asked, 'a pilot' tends to be one of the more popular answers that young children respond with. But what does it take to become a pilot, and how does someone start their journey? Recently, we asked our Facebook fans to submit questions that they would love to ask a pilot. Well, you asked the questions, and here are the answers from our pilots! Andrew C - How did you manage to become an airline pilot? From a young age I was very keen to become a pilot. To take up flying straight out of school was difficult due to the extensive hours and training needed, and the associated costs involved. I became an electrician for the first 12 years after high school, but during that time the desire to become a pilot stayed with me. After I was earning more money from my day job, I was able to start flight training, so I was essentially a self-funded pilot. I did all my own training and gained all the licences to fly commercially, including my instructor rating. After gaining my commercial license, I resigned from my job as an electrician and went in search of paid flying roles. I found work for 4 years in Darwin, flying lighter aircraft before progressing into a regional airline role in NSW for 4 years. I was then lucky enough to work in England for 4 years, before being offered a role as a pilot with Virgin Australia. I’ve been at Virgin Australia for just over 11 years, and a Captain for the past 9 years. Susan S - What made you want to become a pilot? I was lucky enough to have an uncle who was heavily involved in aviation, and visiting his home when I was young sparked my interest. He had a flight simulator in his backyard shed, called a Link Trainer. It was an early simulator used to train pilots in WWII. I was able to use the simulator during these early years, and that got me interested to pursue flying when I was older. Brodie L - How long does it take to be a pilot? It can depend greatly on the path you take, but generally I’d suggest it’s a minimum of 5 years, which is the commitment you’d need to make to the profession. After that time, it’s likely that you’ve gathered the qualifications and experience to seek employment to continue the career path with more steady income. In a way, it’s a like a trade apprenticeship, or studying medicine – you need to spend a substantial amount of time learning and practicing before you’re able to begin permanent employment. Shannon H - How did it feel the first time you landed and took off after you graduated? Funnily enough, your first flight is quite lonely as you’re by yourself without an instructor in a light aircraft. There’s definitely a sense of achievement, however you’ve trained a lot for that situation so you feel very ready to take control. 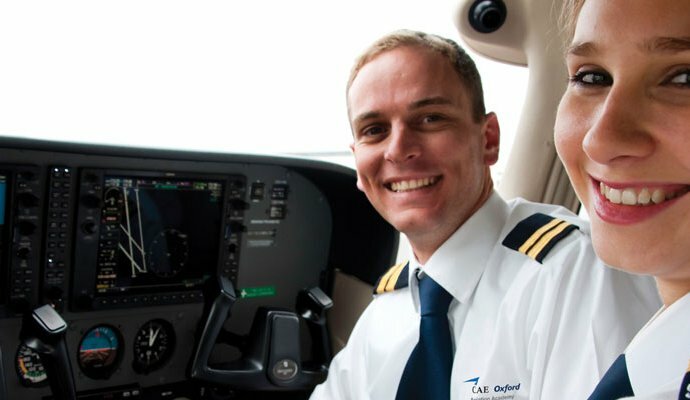 Andy W - What would your recommendations be for getting into a commercial pilot position? Dedication is the key characteristic needed to become a pilot. It’s not a career path to take on lightly, and you need to have the self-belief to stick with it, as it takes many years of training before you are able to enter a paid position. For younger aspiring pilots, completing Year 12 with a focus on Maths, Science and Physics can definitely be helpful. After school, there are various paths to take. You could look at joining the RAAF, a cadet program such as Virgin Australia’s own program, studying a degree in aviation, or building your experience via self-funding. Josh R - My son wants to be a pilot when he is older. What is the best study path for him to take to achieve his dream? There are plenty of ways to be involved in the aviation at a young age, and you can actually gain your private pilot licence at 16. Aside from ensuring you complete your high school studies, there are cadet programs – including Virgin Australia’s own cadet program - as well as Scout aviation initiatives in some states, which are great ways for younger people to start their journey. Being involved in your local aero club and going for a joy flight with a trained pilot can also be a great introduction.